There are very few classical musicians who have the conviction she has, of rendering a pure classical piece as systematically as one involving fusion. 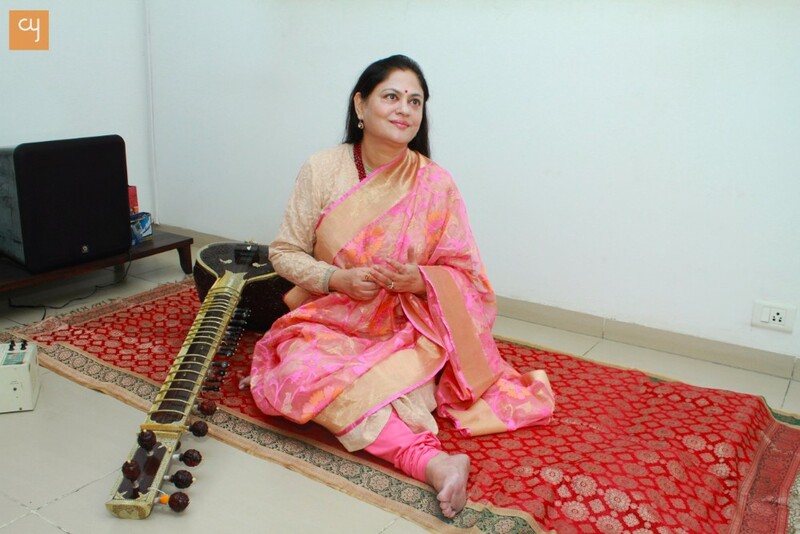 Sitarist Amita Dalal believes music should stir the mind as much as it must soothe the heart. Her journey in classical renditions is four decades old of which the last nine years involve some creations that are fusion “connecting with more people to create more energy”. While music surrounded her since birth, it is at 16 that she decided to pursue the sitar. “My mother was a theatre actor, dancer and sitarist in Mumbai who got married and came to Ahmedabad. Here, she got in touch with Pt Nandan Mehta and we often had artistes over for home stays. From the time I was a child, I was lucky to have a musically rich environment,” says the 57-year-old artiste, recalling some of her sessions with Kishori Amonkar who fondly called her Amit. Many others including Pt Ravi Shankar, Ustad Amjad Ali Khan, Pt Shiv Kumar Sharma, Ustad Shujaat Khan, Pt Rajan and Sajan Mishra would visit her home when they were in Ahmedabad and that was great influence. “I learnt so much from them, on how they faced and dealt with situations and pursued their music with single-minded devotion. Besides exposure to music, talking with them filled my days. The sanskara were there to absorb and take in… there was no need to read books. 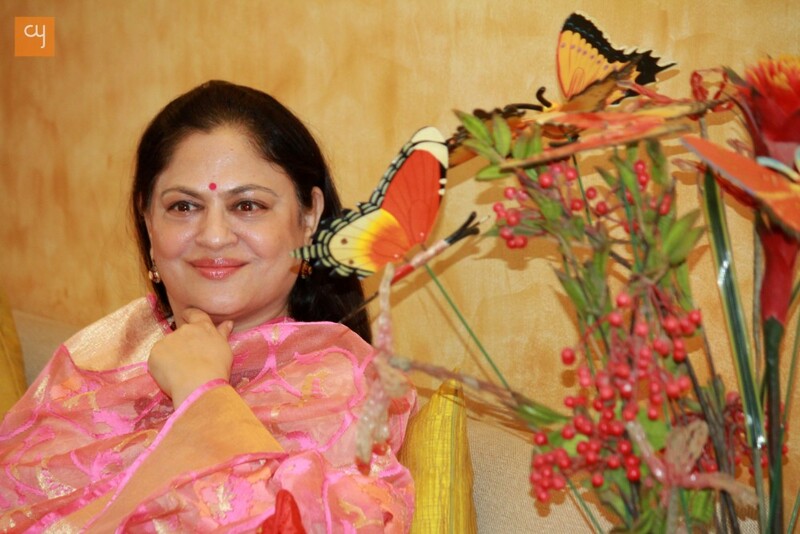 Such people tend to leave behind a fragrance,” says Amita, who felt encouraged to pursue sitar. “At 16 my mother took me to Vidushi Manju Mehta and I am learning under her ever since. When I was 18, I performed in Japan and at 19 I performed in Moscow Olympics. But you see, like wine, it gets better with time. The more the practice in classical music, the better it gets. After about 30 years of classical music performances, under the guidance of Pt Vishwa Mohan Bhatt, I tried my hand at creating a fusion album which he composed music for. When done systematically, fusion can leave a wonderful impact. Besides, there is a classical touch in all my fusion albums – Sitar Lounge I, Expressions (composed by Pt Vishwa Mohan Bhatt) and Sitar Lounge II (composed by Saurabh Bhatt). There is theme line, antara, second antara, tihais…they have all ingredients,” says Amita, taking the example of Kaushik Dhwani in Expressions that was recently used by dancers who choreographed a five-minute piece on it as part of a reality show on Doordarshan. Considering the attention on classical musicians taking to fusion music is stark, I wonder if the sitarist ever had her should-I-shouldn’t-I moments. “Oh yes, initially I was hesitant to venture into fusion since I felt I would be diluting the authenticity of the classical music. But today when the youth enjoy it – be it at baby showers or engagement parties – I feel my connectivity with them has been possible owing to these five-minute packaged pieces. The sanskars of these ragas reach them. In fact, all compositions in my fusion albums are based on ragas. The foundation of classical music is applied in these,” shares Amita, who came up with a pure classical album after her fusion albums, Sitar Lounge I and Expressions, called Maihar Reflections. Then, after another fusion album Sitar Lounge II, there is now a pure classical album, Jansanmohini, set to release. Classical is evergreen and yet “fusion is party time”. “It is light music with interesting and short compositions; why not give something like this to the youth who want it? I’d rather have a show where people can dance to my music or make a painting alongside,” says Amita, her expressions conveying more about her desire than words could. She also believes all performing arts merged together to create a composition would be an energizing process. “With changing times, we must upgrade and involve systems that work better. Fusion is party – more people, more energy. What more, youth like it and thereby sanskar and tradition are maintained,” says the artiste who has been conferred with awards including Pandit Omkarnath Award, Surmani Award, Gujarat Gaurav Puraskar, FLO 2010, FICCI Award for Excellence among others. Amid her riyaaz and albums, Amita’s participation at national and international festivals is noteworthy, one of the recent being to Monte Carlo Casino Terraces that was a blend. “The first half was classical while the second half was a composition from Sitar Lounge, Om Shanti, on which hundreds of people performed yoga. Post this were performances at Reitberg Museum, Zurich, and another one in Rome. So, is the response from the world audience interesting? “I feel owing to Dadaguru Pt Ravi Shankar, people view the sitar as a popular instrument and like to come and listen to it. From solos to symphonies he did everything and it is phenomenal the way he has popularised the sitar.” Interestingly, Amita has named her sitar Amrit Varshini “and ever since, she responds like a human being”. One wants to know if she is judicious about picking the festivals and programmes she performs in. It is largely about “music and the vibes it sends out”. Which is why while she performed in Bangkok on World Music Day or in Dubai’s Mall of the Emirates or the Indian Embassy in Kuwait some time ago, it is local concerts and programmes that draw her equally. Music speaks a common language and the blessed know it, is perhaps her mantra. “I enjoy my music renditions and believe I take others along in the journey,” she says. All those who’ve heard her couldn’t agree more on this.